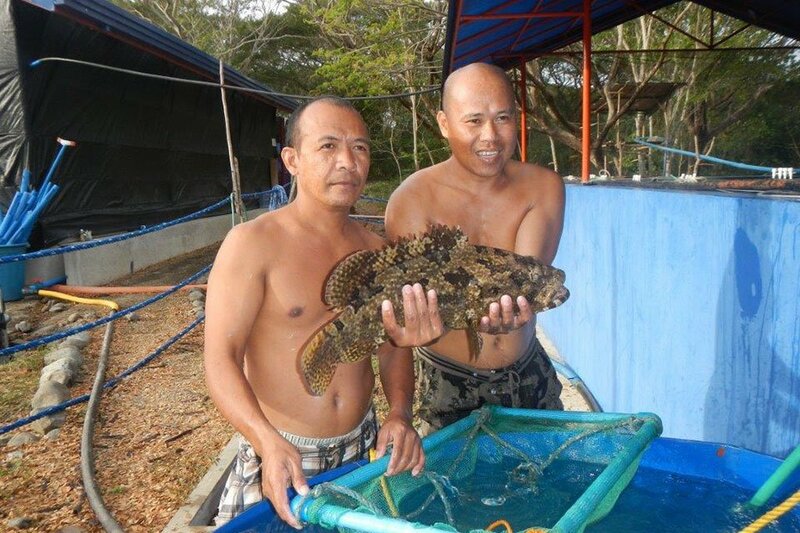 In Palawan, the target species of many fishermen is grouper. The demand for grouper keeps increasing in China and they fetch high prices when sold alive. 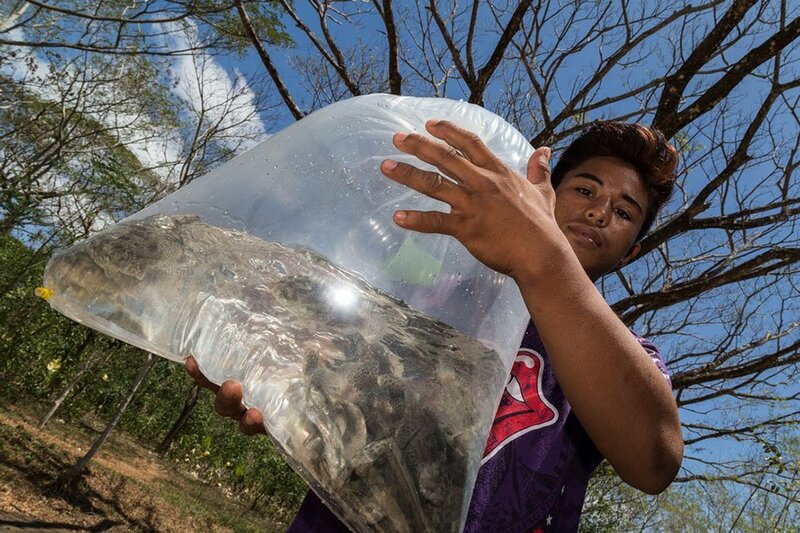 In order to catch these fish live from the coral reef, fishermen often use cyanide and since Palawan is the number one place in the Philippines where groupers occur, a lot of cyanide is being used. Cyanide poisons the coral reef and has a big impact on the health and productivity of coral reefs. Beside the use of cyanide, the second problem is that an increasing number of fishermen catch undersize grouper, which they use for grow-out purposes. This means that less and less groupers reach maturity and hence less groupers get the opportunity to breed and multiply. This results in a strong decline in the number of wild grouper. A solution was needed in order to stop the destruction of coral reefs and to ensure food security. The enormous demand for live grouper in China combined with the decreasing supply has created a huge business opportunity. Therefore, our organization has been working on the development of a hatchery and nursery protocol for different grouper species. Proudly we operated the first sustainable hatchery and nursery facility on the island. 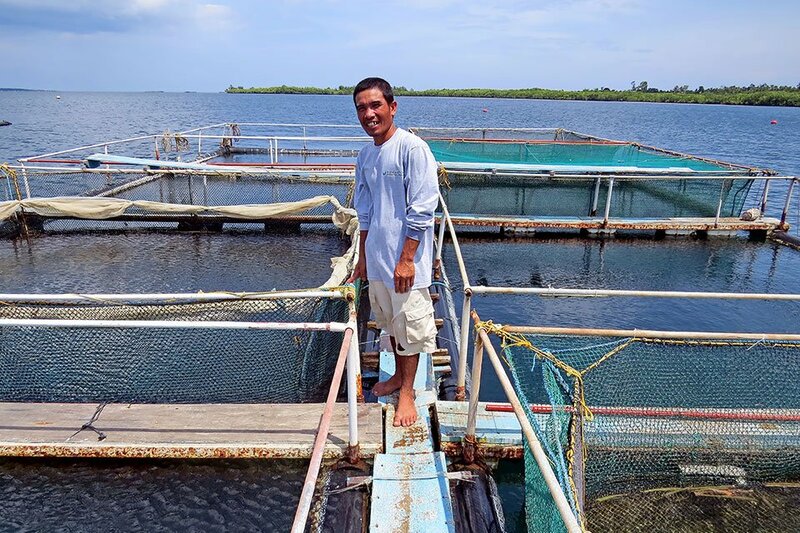 Small-scale farmers grow grouper fingerlings in 8 to 10 months to marketable size after which they are exported live to China and Manila via existing sales channels. 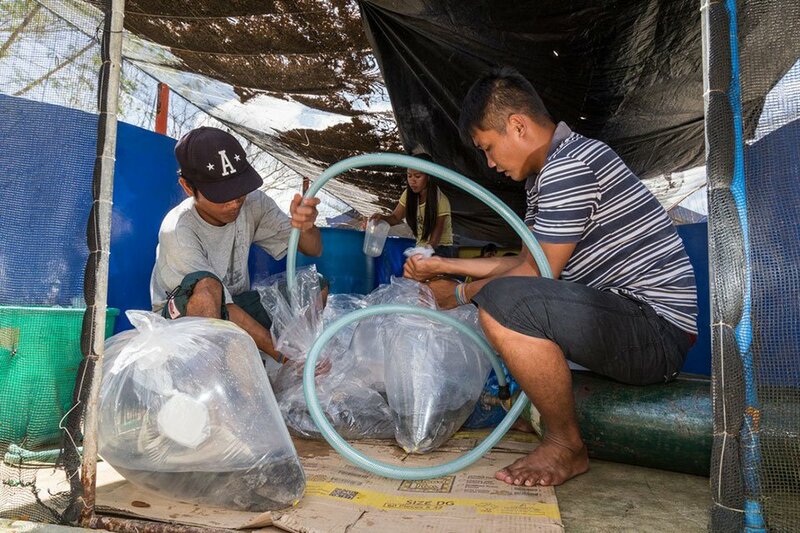 A few hundred thousand fingerlings have been distributed to most municipalities in Palawan, several provinces in Mindanao, Mindoro, Luzon and Batangas and we have even shipped fingerlings to Hong Kong. 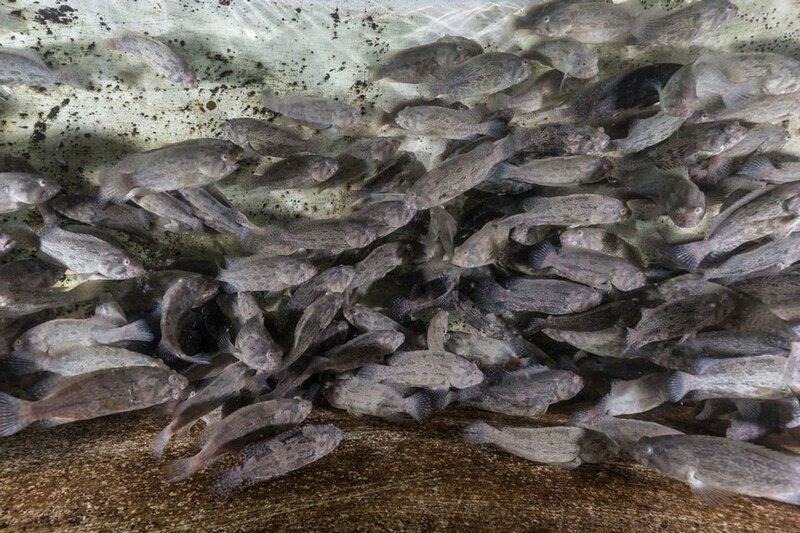 We have handed over the hatchery to the Government of Puerto Princesa to enable continuous support to the farmers and conservation of the wild grouper populations and their habitats. The main brochure of our grouper livelihood program. An extensive presentation on our grouper livelihood program. Our grouper farming poster in English. Our grouper farming manual in Tagalog.